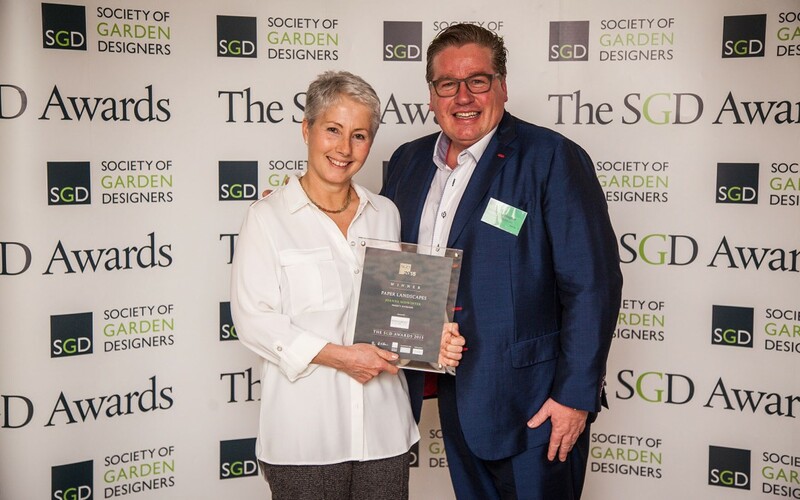 Jo Midwinter Garden & Landscape design is an SGD award winner for the second year in a row! The Society of Garden Designers 2015 awards were presented by Joe Swift at the Landmark Hotel on Friday. It was particularly special to win the Paper Landscapes Award in the company of eminent competition such as Gavin McWilliam, Andrew Wilson and Helen Elks-Smith. 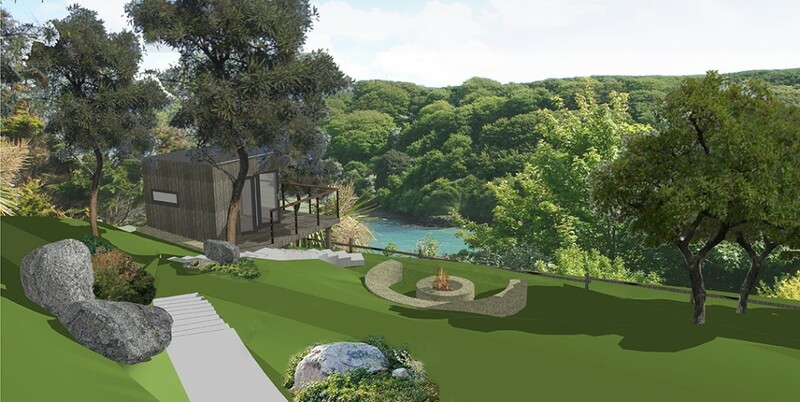 Riverside, the winning design was created to complement a highly contemporary coastal home clad with copper and concrete designed by Lily Lewarne Practice based in Truro. Situated on a steeply sloping site which drops down to a beach, the space meets the needs of a busy young couple who enjoy an active and sociable outdoor life. The garden has a top terrace that is easy to access and provides a multi-functional space for relaxing and entertaining. Walking down to the steep lower garden the client moves form the more ordered atmosphere of the terrace and the space becomes freer and more naturalistic. Stunning design and what an amazing achievement to win twice in a row! Would love to spend a summer’s day with a good book in that garden.